Here at Opace, open source is right at the heart of everything we do. Our ethos from the beginning has been to use open source to deliver measurable results for our clients. Many business owners aren’t actually aware of open source or its considerable benefits – so not understanding open source could be a very costly mistake. What is open source – and why is it so beneficial? The concept of open source software is really simple. If you use something that’s open source, you can contribute ways to improve it, you can help to solve issues and remove bugs, and you can also modify it to suit your own needs – you’re essentially a software co-developer. Many bespoke solutions come with the stipulation that they cannot be altered – and if there’s a problem, there’s generally a long reporting process that needs to be followed before the issue can be resolved. With open source, the users are responsible for the overall condition, distribution and modification of the software. Well, plenty of open source software tends to be free, which means it’s ideal for businesses on a budget. Business owners that opt for licensed, proprietary software can end up paying thousands every year for upgrades and downloads, whereas open source users can download most programs for free. Open source is also constantly subject to improvement, which means that if you encounter a problem one week, there’s a good chance it could be totally solved with an update the next. This applies to security issues too – with so many eyes on the software at all times, it’s likely that problems will be spotted and fixed much faster than with regular software. The introduction of open source has undoubtedly revolutionised the web. Key projects like Apache (the world’s first open source server) and PHP (a scripting language which is paramount to web development) have set the tone, and the rest of the web has followed. 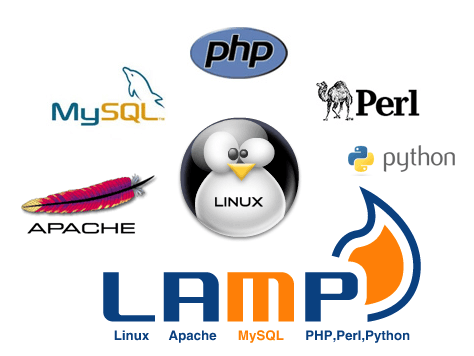 LAMP – open source web development platform that uses Linux as the operating system, Apache as the Web server, MySQL as the relational database management system and PHP as the object-oriented scripting language. Open source customer relationship management tools help leverage data to boost leads. Open source CMS solutions like Joomla and WordPress have thrown open a multitude of doors for web developers, and the world of e-commerce has been totally overhauled by open source with solutions like Magento, which is owned by eBay. If you need any proof of how successful and widely used open source is, look to some of the world’s largest online companies – Google and Facebook, for example. Google as a company has produced around 900 open source projects to date, with many of their engineers working full-time on these projects. Facebook also runs on open source software, and it still relies on Apache, PHP, Linux and other free solutions. The 2015 Future of Open Source survey attracted a record number of respondents, and offers some revealing insights into what lies ahead for open source. 78% of companies now run on some kind of open source software, and just 3% don’t use any open source at all. The use of open source to run business IT environments has gone up by 200% in the last five years, and 88% of company owners expect their team to contribute to open source projects over the coming years. The internet has thrown open the door to mass participation in projects like this, and it’s reflected in many areas of the web. Think of concepts like Kickstarter, where crowdfunding can raise capital for all sorts of products and services. Open source operates on a similar theme – and with so much freedom and flexibility, why would anyone go back to the traditional proprietary methods? In our next article on open source, we review important factors to consider when choosing an open source website and explain the different aspects that businesses need to consider. In our opinion, open source is undoubtedly the future of web development and e-commerce. Here at Opace, we’re proud to base our entirely business model around open source, with its continuous innovation and ground-breaking developments. Open source offers the most responsive solutions, the most flexible choices for business owners – and those that aren’t switched on to the benefits could be making a costly mistake.